Try with Ham or Turkey Slices, also delicious on a toasted bagel. Lay the rolls on a flat work surface then spread each upside with some mashed avocado. In a small bowl, combine the carrots with the lemon juice and some seasoning. 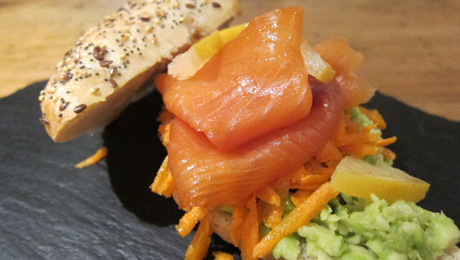 Place a layer of grated carrot onto the avocado, then add some slivers of smoked salmon. Serve with a drizzle of lemon and a few lemon pieces.